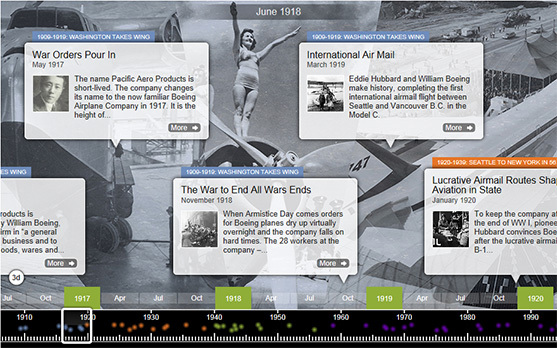 Interactive timelines of Washington innovation and invention. From the industry’s humble beginnings in 1910 to our role as the global leader in aerospace today, Washington State and its 1,400 companies have taken us from the rickety biplanes of a bygone era to spacecraft that are exploring the outer reaches of the universe. Washington State has certainly had its share of earthshaking inventions. 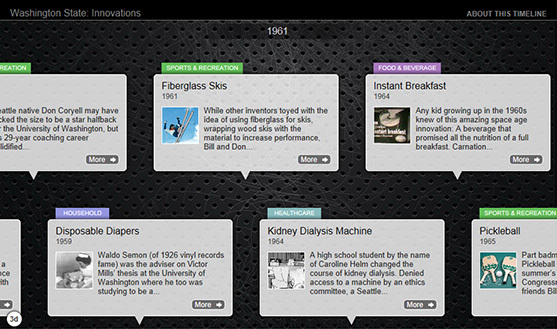 From the kidney dialysis machine and Medic One to the Slinky Dog, Pictionary and sweet onions, entrepreneurs and inventors from Washington have certainly left their mark on our world.